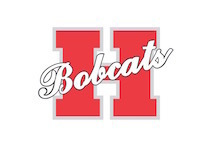 HOPE – The CATS campus of the Hope Public Schools serves an innovative purpose; its mission is to put students who have struggled academically and/or socially within striking distance of personal success. Under the ALE protocol, all regular classroom intervention must be exhausted before a student is admitted to the CATS campus. “That’s statewide, districtwide; that’s how an ALE program comes into play,” Radebaugh said. “We have established an additional program, CATS, or Creative Action Team School, to give us the flexibility to meet the needs of students outside of a structured day of a high school or middle school, where students change classes. The idea is to give students, on a case by case basis, the skills they need to return to the academic cohort of their peers in a regular classroom setting, and succeed. In order to get to that point, CATS is designed to address the root of the challenge involved. “Everything is caused by an antecedent; whether they are hungry, they are homeless, they have a missing parent, or something that has not been identified yet that causes a set of behaviors,” Radebaugh said. The antecedent circumstances establish behaviors that produce consequences, whether good or bad, he said. “Too many times we focus on the consequence; and, the consequence happened after the behavior but it doesn’t change the behavior,” Radebaugh said. The point is to break the cycle of behavior that is caused by the antecedent circumstance by working backward to address the antecedent foundation that has been laid for the behavior. The result, Radebaugh said, is a change in behavior simply because the problem is no longer there. The flexibility of the CATS environment gives both the Hope Public Schools and the families of CATS students the ability to work together. That student was over the age of 18 at the time; but, the ability to work outside the constraint of a traditional semester class setting allowed the student to progress more quickly. The tools vary, he said. He said any impression that CATS is a holding place for “troublemakers” is untrue. Radebaugh invites the public to visit the campus during the regular Friday morning breakfast. It is a hands-on event that is designed for community understanding of CATS. Radebaugh said students in the CATS program often arrive disillusioned. “A lot of them are in a cycle and they don’t see any end to it,” he said. “They don’t think they can take that first leap; but, they have to take the first leap. And, our whole staff can try to give them confidence and support; our whole staff does that. “And, once they make the leap, we can help them as they progress up that mountain toward becoming a lifelong learner,” Radebaugh added. The leap to within striking distance of success requires community involvement and parental commitment.